Remember the beanie I knit for my niece? I added a pom pom to the top and made a matching scarf. I'm so happy with how it turned out. I wish it fit me! The yarn is Deborah Norville Everyday Soft Worsted Yarn and the shade is Parrot. Gorgeous. 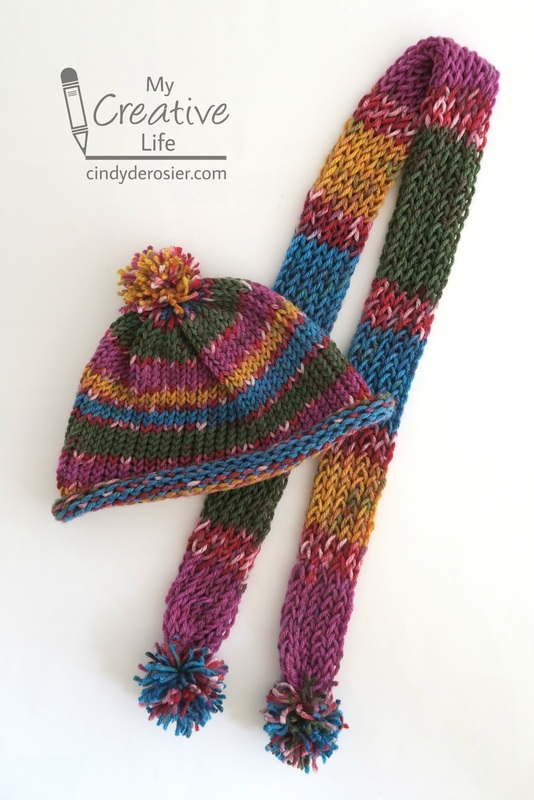 I made the beanie with the smaller loom in the Oval Loom Knitting Set by Leisure Arts. I made the scarf using a Knit Quick small round knitting loom. I wish I'd known years ago how fun and easy loom knitting is! I love it. Expect to see many more projects from me in the future. Thanks to Leisure Arts and Premier Yarn for providing me with materials to make this project! I love all the colors in the yarn- so many possibilities with different outfit colors. Oooooh...love the colours! Glad you are enjoying the craft!